At Red Conrad’s Wellness Alternatives, it is our goal to help you go beyond health. We want to see a day where everyone is healthy without struggling. We are doing this by providing the highest quality non-GMO and organic products on the market. For more info, click here. When you choose a Red Conrad’s Wellness Alternatives brand, you know you’re getting only high quality products. You also have unlimited access to our blog and podcast for information. But it doesn’t stop there! We are here to help you reach your goals and needs. 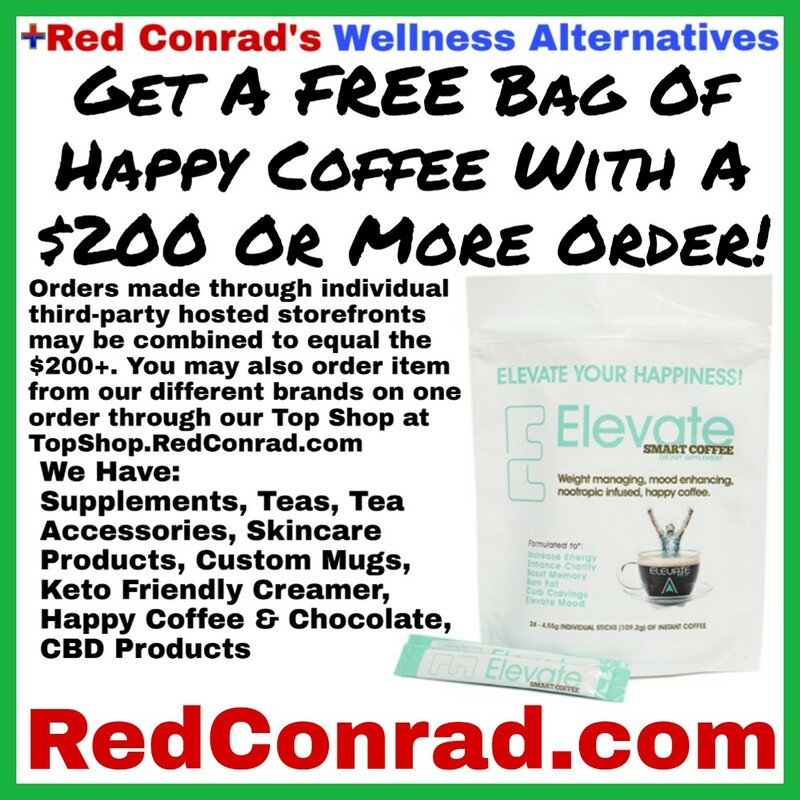 By becoming a customer of Red Conrad’s Wellness Alternatives, you are joining our family. You have unlimited access to Red and the team to help you set and reach your health goals. Think of us as your coach. It is an option available to you once you become a customer, at no extra charge. Unlike other companies and brands, we will work with you to achieve your goals. You’re not on your health journey alone when you choose Red Conrad’s Wellness Alternatives. Read more about the us here. As a representative / distributor for the brands offered through this site, we are able to offer you wholesale pricing. By ordering our products and adding them to your business, you are providing an affordable, all non-GMO and organic product selection to your customers. This will help your business because not only would you be providing affordable health products to your customers, you will have available products that are not sold in big box stores and chain locations. You will have the competitive edge over your larger competitors with higher quality, lower priced product selection. Our tea line may be purchased wholesale, private-label, or both. In choosing to carry one of our brands, you are guaranteeing your success by expressing to your customers that you care more about them and their health and that of their families than your competitors do. Terms for wholesale purchasing apply. To view terms, click here.